Infiniti is a high line car brand that is a division of a Nissan Motors the Japanese automaker. The Infiniti brand was introduced in America in 1989 with their 1990 model line. This luxury brand of automobiles was much like the Lexus line by Toyota and the Acura line from Honda. The Infiniti cars were typically based on Nissan models with more options, bells, whistles and amenities. Nissan and Infiniti felt there was a void in the premium market in the United States, which they were planning to fill with the Infiniti brand. We have gathered many Infiniti car brochures and sales catalogs for use that you find below. The Infiniti cars hit the road in a big way with the Infiniti M30 and the Q45. The M30 was a 2-door coupe that sported a 162 horsepower engine and automatic transmission and the M30 was also offered as a convertible. The M30 looked good, but it was really under powered for its weight. 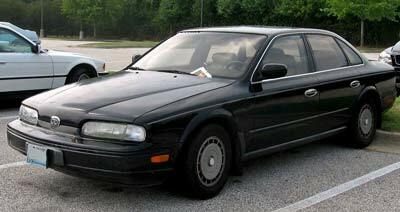 The Q45 was another story, which came equipped with a 278 hp. V-8 engine and 4-wheel steering. Infiniti was launched through 51 car dealers when it began in 1989 and has done nothing, but grow that number. See the Infiniti car brochures here and you will get the feeling that the Infiniti is different than most automobiles. 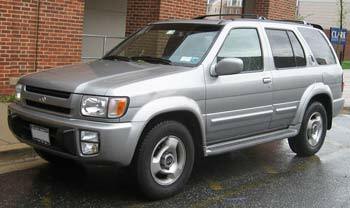 In the late 1990s Infiniti introduced the QX4, which was an SUV vehicle based on the Nissan Pathfinder. The platform for the Infiniti QX4 was actually modified from a truck configuration rather than many of the competitors SUVs that are typically built on car based platforms. Infiniti continued to grow their sales numbers, but they still weren’t catching up with the Acura and Lexus brands. Therefore Infiniti started upgrading their offerings and improving the quality and features. 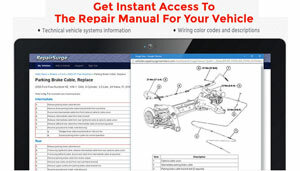 You will see some of those upgrades in the Infiniti car brochures and sales literature available here. In 2003 Infiniti introduced a midsize entry-level vehicle called the G35. The G35 was available in both a coupe and a sedan as seen in the Infiniti sales literature below. This model was great success that offered both luxury and performance. From their Infiniti offered the FX35 and the FX45, which was a crossover vehicle that offered both utility and sports car handling. Infiniti continues to innovate, adapt and fill the needs of their customers. They offer a full line of passenger vehicles that cover all of the vehicles that the luxury car buyer wants. See the Infiniti car brochures and sales catalogs below for a better picture.